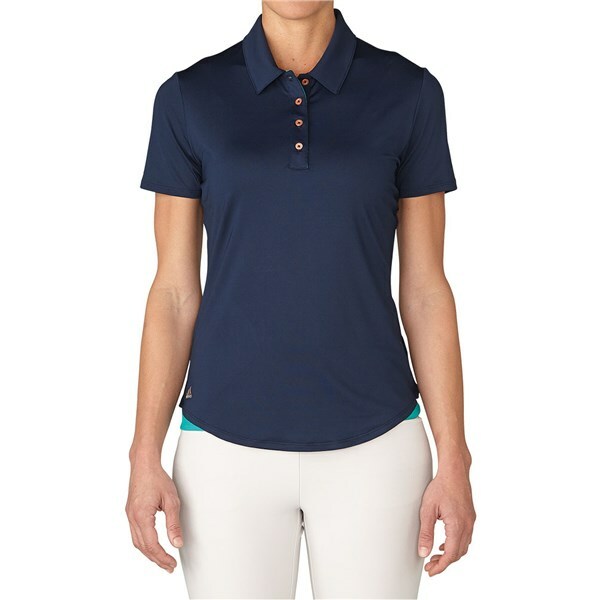 The adidas Ladies Essentials 3-Stripes Short Sleeve Polo Shirt uses a technical stretch fabric that features a 50 UPF finish for essential performance and protection. adidas have used their stretch fabrication and feminine silhouette to create this comfortable movement enhancing polo shirt. 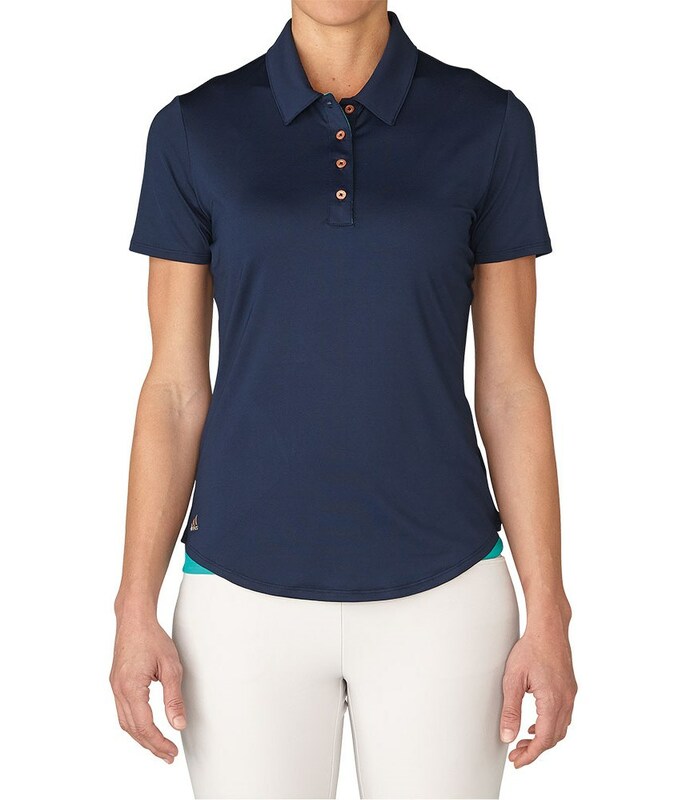 Protection from the sun and the heat will leave you feeling cooler, sweat-free and able to concentrate on your golf.